Gardeners and homeowners love perennial plants; these workhorses in your landscape deliver color and texture in the garden year after year. Unlike annuals, perennial plants live for many years and return after winter’s cold to bloom again. When shopping for garden plants at your local nursery, you’ll notice the tags often say “annual” or “perennial.” Sometimes, you’ll even see “biennial.” Although colorful, covered in blooms, and so very tempting, annual plants die off every winter. Perennial plants, on the other hand, come back year after year. Biennials, the oddballs of the flower world, live for two years, blooming in the second summer. Annual flowers are very inexpensive, and you can find them in many big box and home improvement stores from early spring until late summer. They often only cost one or two dollars, so the idea of filling your flowerbeds with them is hard to resist. But annuals only last a few months, and next spring, you’ll have to start all over again. Perennial plants cost more and don’t bloom as vigorously as annuals, but they provide more than just color to your garden. They also improve the soil in several ways. Because they live for many years, they develop deep root systems that aerate the soil and provide chambers for water absorption. These roots reach deep to draw nutrients and bring them back to the top layer as they shed leaves and flowers. These extensive root systems also create the perfect environment for essential microbes to flourish. 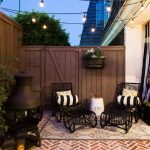 One benefit to the perennial gardener is that this type of gardening can be less costly over the long haul. 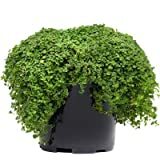 After all, you only have to purchase them once for years of growth. You'll also find them easy to grow from cuttings. So, if you have one hibiscus, it's relatively easy to propagate several more with the right tools and technique. You can get dozens of long-lived plants from just one initial purchase. Turning a flower bed in the spring is a lot of work, and that makes yearly soil amendments a much more significant expense. 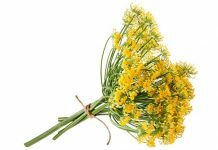 With annual flowers, this results in an annual back-breaking and expensive ritual. Once you've made the initial of effort by preparing the plot for your new perennials, you've done most of the work. may be some pruning and mulching before the cold sets in, but otherwise, they're worry-free. 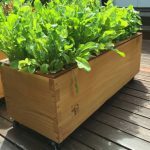 And because they feature deep root systems, you won't have to set up sprinklers or stand there with a hose every day of the spring to get them established. Perennial plants also offer more variety throughout the year. Annuals generally only have one growing season to accomplish the job of reproducing themselves by flowering and going to seed. Most do this during the same time of year, which is mid to late summer. Perennials, which are under much less pressure to reproduce right away, have different blooming seasons. So, you’ll be sure to enjoy the fruits of your labor from early spring through frost. In fact, some perennials feature evergreen foliage, which means you'll be enjoying them all year round. 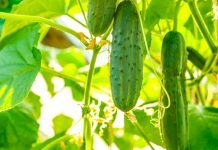 When selecting plants to add to your garden or landscape plan, however, you’ll need to consider several factors. For outdoor gardens, your hardiness zone will play a large part in determining which perennials will work best for you. And some plants are perennial only in specific zones. The South enjoys flowering plants that remain evergreen throughout the year or grow back vigorously after a freeze. Northern states, on the other hand, enjoy the perpetual return of bulb flowers like daffodils, tulips, and irises, that require a low-temperature dormant phase to bloom the next year. Most plants have a preference for temperature, hours of daylight, and moisture levels. Other, less simplistic considerations are salt tolerance and acidity preferences. If you have a greenhouse or use containers, you may be able to extend the life of otherwise cold-tender plants. And Southern gardeners have the option of digging up bulbs and storing them in the refrigerator for a few months before replanting. If you’re aiming for dramatic beauty for your lawn, nothing makes a statement like flowering bushes. These perennial plants provide color for any landscape plan, and many attract wildlife like birds, butterflies, and bees. Along with their lovely appearance, they’ll also provide privacy when planted in rows. 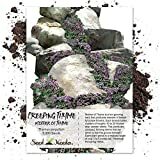 Here, we’ll discuss some of the most interesting and easiest to grow perennial flowering bushes for several zones. Most people think of the tropics when they consider adding hibiscus, but the hardy varieties flourish up to zone 4. Although their blooms don’t last long, with the right conditions, they’ll bloom day after day all during the growing season. You can choose tropical hibiscus or hardy hibiscus, depending on your region. This variety doesn’t grow very fast, but the flowers are worth the wait. They need full sun and regular watering with good drainage, but after you've planted and mulched, they’ll provide large flowers that attract hummingbirds with little effort. You’ll find these in landscapes throughout the subtropics and areas along the Gulf of Mexico, as well as Hawaii. You'll see them listed as hardy in zones 10 to 11, but most gardeners find dothey do well up to zone 8. Like their hardy sisters, they prefer full sun and moist soil. For cooler regions, they grow beautifully in large containers that can overwinter indoors or in a hothouse. One of the most challenging areas of landscaping is finding perennial plants that do well in the shade. 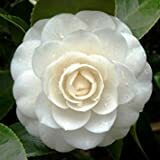 Camellia bushes do well in light shade and even produce their best blooms there. And after giving them three years to get established, you’ll barely have to water these evergreen shrubs at all. do prefer acidic soil, but using fertilizer for acid-loving plants right after they finish blooming should do the trick. Choose the type best suited to your climate, either japonica for warmer regions or sasanqua up to hardiness zone 6. Hydrangeas are one of the most versatile flowering shrubs you can find, doing well in both full sun or dappled shade. They’re not fussy about soil type and flourish in zones 3 through 9. 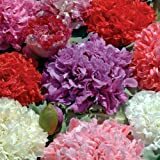 They produce stunning flower heads in a wide range of colors that bloom from mid-summer through fall. 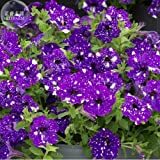 You can even influence the hue of the blooms by altering the soil pH. This takes many months and doesn’t work in all cases, but you’ll certainly have fun experimenting with soil amendments. Flower beds add color and interest to your yard while attracting a wide variety of pollinating insects that in turn, support your vegetable gardening efforts. There are many low-maintenance varieties of perennial flowers that will continue to perform year after year. 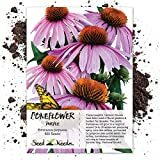 You'll now find coneflowers available in a wide variety of colors, from the original purple to orange to white to shades of pink and red. And your local bees with thank you for establishing these hardy perennial plants. Traditionally purple flowers with raised cones that are perfect for bees to land on, you’ll find varieties hardy from zones 2 to 10. Plant them in full sun to partial shade, and they’ll bloom all summer long if you deadhead the spent flowers. 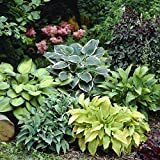 Hostas are another perennial that delivers in the shade, although they’re better known for their lovely variegated foliage than their blooms. They remain hardy from zones 3 to 9, but our experience is they don’t do well in the heat of zone 9. You’ll find golden varieties for full sun and others for shade. In mid-summer, they send up spikes of purple or white flowers. These traditional blooms do better the more you leave them alone. Hardy from zones 2 to 9, they generally reach from 2 to 3 feet high and flower in early summer. Best of all, you can choose varieties in pink, white, red, and yellow, for any garden color scheme. Plant in the full sun in zones up to 7, and in partial shade for zones 8 and 9. Peony poppies are annual flowers growing in USDA Zones 3 - 8. This poppy flower seed mix grows to 32 - 40 inches in height. These large Peony Poppy flowers are 4 inches across and form on long, sturdy stems. 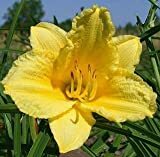 Most garden experts consider daylilies the easiest perennial plants to cultivate. They’re practically unkillable. Don’t confuse them with true lilies, however, which grow from a central bulb. Daylilies grow from tuberous roots and send up flowers that only bloom for one day, hence the name. Varieties grow from 1 to 4 feet high and come in an array of colors. Daylilies grow best in zones 4 through 9, and they prefer full sun in mild climates, and partial shade in hot and dry areas. Best of all, you can plant them whenever you can turn the soil. 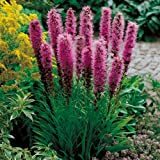 For purple, pink, and white blooms later in the summer and into fall look to Blazing stars. Butterflies love them, especially Monarchs, and rely on their rich nectar content during the fall migration. They do grow very tall, so you may want to choose a compact variety. (PLI)~"BLUE BLAZING STAR"~Seeds!! !~~~~~Gorgeous Spikes of Color!! Plant in zones 3 to 9, but add mulch in the winter for zones 3 and 4. Not the most formal-looking of flowers, these native plants flourish in full sun without much bother. Adding groundcover to your landscape saves time and effort on mowing improving soil quality and retention. They're great for filling in problem spots in your yard that have too much shade or poor soil. 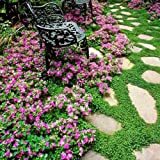 These low-maintenance groundcover perennial plants that add texture and even some blooms during the growing season. Hardy from zones 3 to 8, this ivy-like groundcover does well in shady spots and under trees. 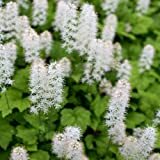 It blooms with spikes of fuzzy white flowers in spring and early summer. These are woodland flowers, so for best results, plant in a cool, moist, shady area. Hardy in zones 3 to 9, these small flowers grow in pink, purple, blue, and white to no higher than 6 inches tall. Purchase as small plugs from your local garden center and plant in full sun to partial shade, about 8 to 10 inches apart. They will soon spread into a dense carpet of semi-evergreen leaves with tiny flowers. Perfect for problematic shady spots and hardy from zones 6 to 10, Corsican mint blooms mid-summer with pale lavender flowers. You can even walk on it, releasing a fresh mint aroma with every step. Add a little fertilizer in the spring and make sure it gets an inch of water every week. Packet contains (100) fresh seeds. This low-growing succulent needs very little care or watering and remains hardy in zones 4 through 9. Green through spring and summer, it sends up white flowered spikes in the summer, and the leaves turn red in the autumn. 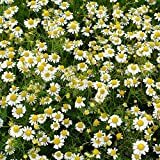 Unlike German chamomile, Chamaemelum Nobile likes the heat and prefers dry, sunny spots. It thrives in zones 4 to 9 and produces the same fragrant flowers as the German variety, which reaches 2 feet high. The Roman variety only grows 3 or 6 inches tall. You’ll get several batches of blooms if you cut it back after each flowering. Whether you prefer English thyme or German thyme, this distinctively fragrant herb also works well as a ground cover. Hardy up to zone 5, it prefers sunny, dry locations and sends up purple flowers. Perfect in between pavers or in borders, it will quickly adapt to rock gardens and paths. Flowering vines, often seen growing in long streams over fences, arbors, and pergolas, give your garden a fairytale feel like no other perennial plants. Before planting, make sure you have something for them to climb. You never know how fast they’ll grow. Also, note their wintering habits so you’ll be prepared. Some die back completely in cold weather, while others leave hardwood vines, which some might consider unsightly. 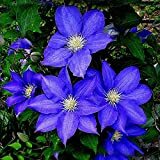 These are one of the most popular flowering vines for gardeners, with large and vividly color flowers. Hardy from zones 3 to 9, you should be able to find a color and variety that suits your needs from any gardening catalog. They like full sun, but want cool roots, so add a ground cover to shade their feet. Even though it looks like something from the set of the original "Star Trek" series, the Maypop passion flower is a favorite for butterfly gardens throughout the US. It's hardy from zones 7 to 10, and mulching before frost aids overwintering in the colder regions. It does very well in the South, where it serves as a host plant for Zebra longwing butterflies. 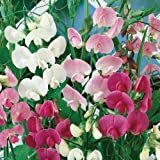 A rapidly growing vine that takes over fences, everlasting sweet pea blooms vigorously from early spring till the first frost. Suitable for zones 3 to 8, you can cultivate them seeds the best by planting them 1 inch apart near a trellis. Make sure you don't overwater your sweet pea but give them a good drink every three or four days. Organic, Heirloom , GMO free. Another fast-growing vine, hummingbirds are drawn to the trumpet-shaped flowers. Trumpet vines are heavy and need a lot of support, however. So, make sure you’ve prepared a sturdy trellis in the full sun for them. Hardy in zones 4 to 9, plant in well-drained soil. Don't fertilize your trumpet vine, and don't feel guilty about cutting them back if necessary. Rare Dark Red Hummingbird Trumpet Vine! HARDY! 20 seeds! Packet contains (20) fresh seeds. Guaranteed true to species. Detailed sowing instructions included with your purchase. Perennial vine in zones 4-9. 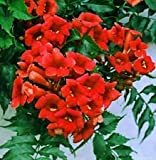 Scarlet trumpet shaped blooms appear on 25-40' vines in summer. This one doesn’t grow as fast, but the shiny evergreen leaves and heavenly smelling white flowers are worth the wait. Also known as “star jasmine,” this bee-magnet is popular in the South and hardy from zones 8 to 10. 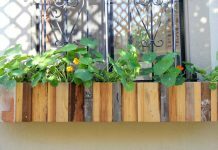 Gardeners in more temperate climates will find their slow growth rate makes them suitable for container gardening on a small trellis for overwintering indoors or in a hothouse. 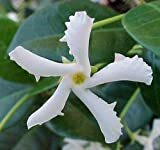 Common names include Star Jasmine, Confederate Jasmine, and Trader's Compass. Once established, your perennial garden plants will bloom year after year. Your patience will certainly pay when you provide the right location for light requirements, the correct soil for drainage, and the occasional boost of fertilizer. You can purchase seeds or started plants at any nursery or big box store. If you’re impatient, you can even buy perennial bushes in one- or five-gallon containers for instant flower gratification. 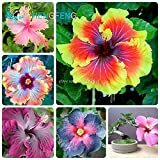 These cost a little more money than seeds, of course, but you’ll know what the flowers will look like, and of course, you can take cuttings right away. Gardening is hard work and can be expensive, so why not make the most of your efforts by choosing perennial plants, which will allow you to plant once and enjoy for years to come.